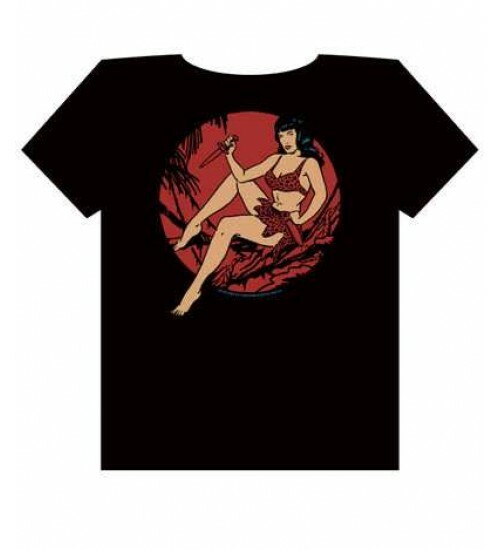 Dark Horse is proud to introduce an impressive line of officially licensed Bettie Page accessories, produced by Retro-A-Go-Go! 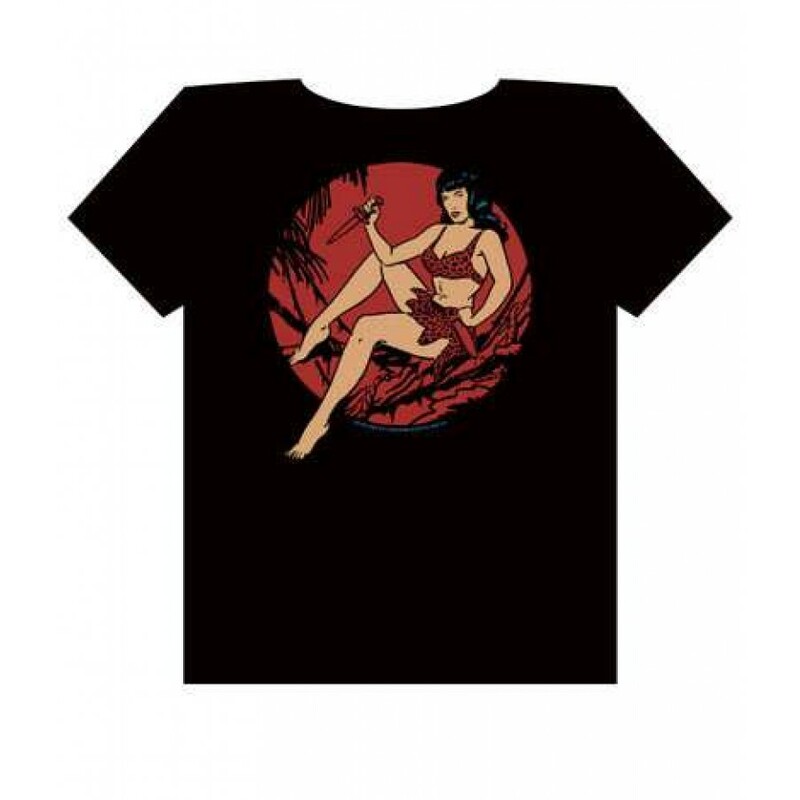 This black tee-shirt features Jungle Bettie in trademark leopard print. Rrrowr! Mens size XXL is also a great oversized tee for women!! Item Number: DH-17-466 | Approximate Size (Inches): 8.00 wide x 0.50 deep x 10.00 high | Approximate Shipping Weight: 1.00 lbs.